Welcome to Gracestone, the Grace family’s luxury estate in Miami Beach, Florida. The year is 1943, and the Grace family members and their friends are enmeshed in World War II. The have special skills, called “Graces,” that they use to solve problems. Some Graces are simple. A Navigator never gets lost or needs a map. Others are more remarkable. A Waterwitch, also known as a Frog, can stay under water indefinitely. Graced people gravitate towards one another, and Graces run in families. People who are Graced attract wealth, which is fortunate, because they also attract trouble. The story begins with Annelisa Grace-Betterman, 25, sneaking out of the hospital, where she was recovering from rheumatic fever, to rescue her infant son from kidnappers. She is Graced as Locator, and can find people by listening for their heartbeats. It continues on with no shortage of adventure. 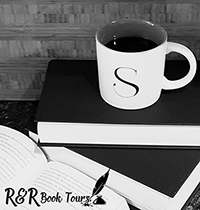 The Grace family members want to mind their own business, but they attract trouble in the forms of a serial arsonist, ill-intentioned Time Gypsies, and a race of people called Atherlings who have no consciences and threaten the family’s well-being. They also are magnets for those seeking to exploit others. The Grace family produces Midasian Multiplyers, who can Multiply wealth. Any business venture they touch performs beyond anyone’s wildest expectations. This makes their family vulnerable to all sorts of crooks, and even politicians seeking to fatten the U. S. federal government’s treasury. The presence of Midasian Multiplyers, particularly when the Grace appears in a small child, is dangerous for everyone associated with Gracestone, as the greedy will use loved ones to get to the person who can produce the wealth. Annelisa and her mother realize they must find a way to protect the family when villains present themselves. Throughout the book, they work on this project. The family owns an uncharted private island off the coast of Miami called Cinq Terras. The two women call upon Graced relatives and friends, and a few who know how to use Seminole magic and Louisiana voodoo, to secure Cinq Terras and make it impermeable to intruders. Of course, with the war going on, there are rescue missions galore all over the world: Lima, Leningrad, Berlin. Closer to home, there is heartache. Characters suffer from the aftermath of adultery, the misery of knowing a loved one is lost forever, and the horror of finding out about a child’s most painful secret. Still, there are good times. The Grace family loves to celebrate, although they try to keep it low-key, of course, due to the war. The book ends with a Christmas Ball, and the characters learn that when Seers and Russian Protectors advise against having hundreds of people over due to security risks, it might not hurt to listen. Of course, it does not really end there. 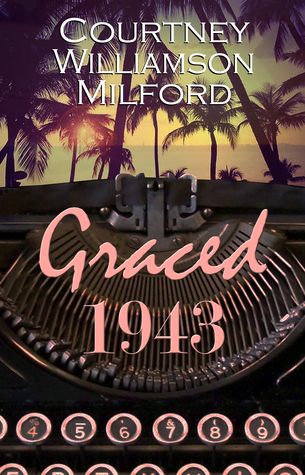 Graced 1943 is the first book in a series, and it has a cliffhanger ending. The story spills right over into the second book, The Atherlings 1944, due out shortly. So the summary of the book pretty much tells you what you are going to get. The Grace family lives on a special island off of Florida that has been protected to keep people away. The key is that most of the people in this family are graced or have special abilities. They help where they can but always face a fear of being kidnapped and having their abilities abused. This is a great story of an extended family with special abilities. They look out for each other and help out the rest of the world when they can. Because this is a big family you will be following along with several people. I admit that I had to break out a cheat sheet to remember who was who and what they were doing. It was easy to get into this story and I was excited to see what trouble the Graces were going to find themselves in next. The ending is a definite cliff hanger but a great set up for book two. I can’t wait to get my hands on The Atherlings 1944. I received Grace 1943 from Author Marketing Experts for free. This has in no way influenced my opinion of this book.